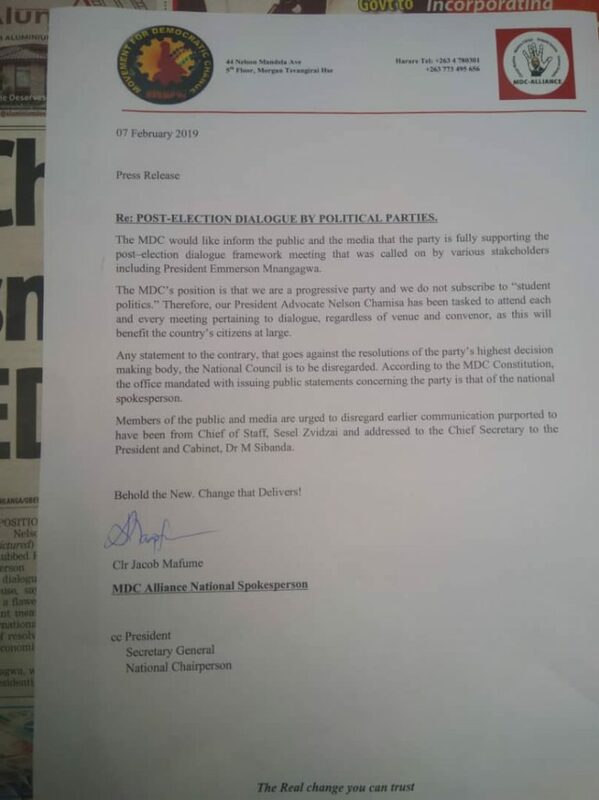 The Nelson Chamisa led MDC has dismissed a letter alleging the party’s leader will attend dialogue meetings regardless of venue and or convenor. Fake letters, fake tweets from a desperate regime. Please note, the MDC and the President @nelsonchamisa have official platforms, through which all official communication is channeled. Beware of fake news.